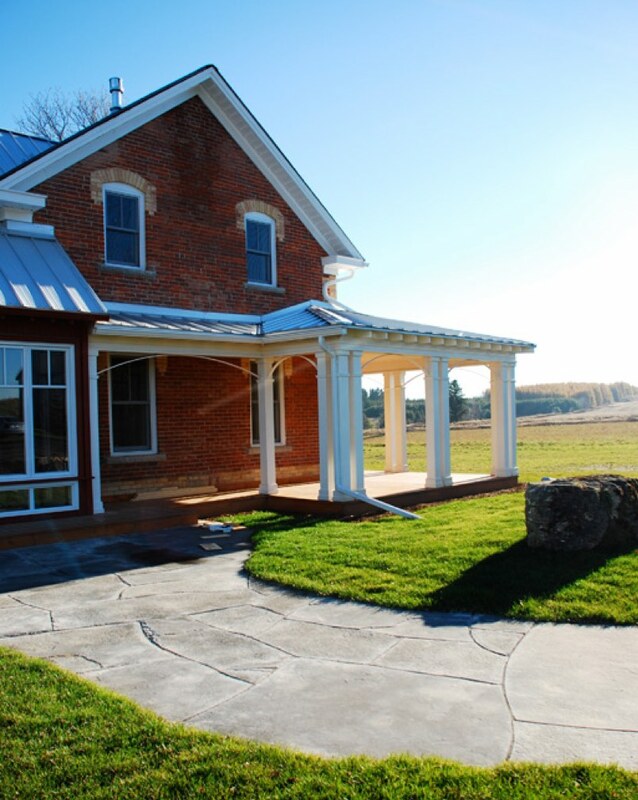 Collaborating closely with architect Harry Morison Lay, we worked to create an ambitious renovation and addition to this circa 1881 mid-century farmhouse. 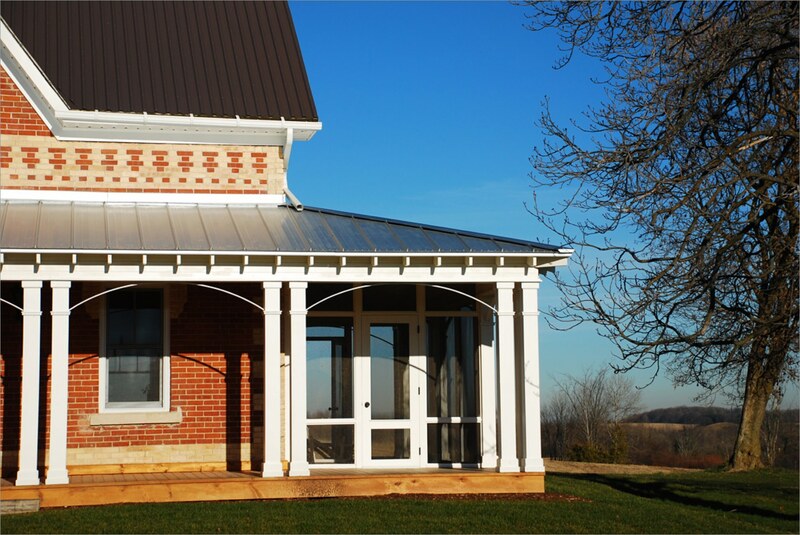 Our mandate was to renovate the interior and provide a large new kitchen and family room as well as a second-storey master bedroom.The original building was built in the Gothic style and we wanted to ensure that the new architecture complemented the old brick farmhouse without overpowering it. The result? A perfect marriage of old and new, form and function. 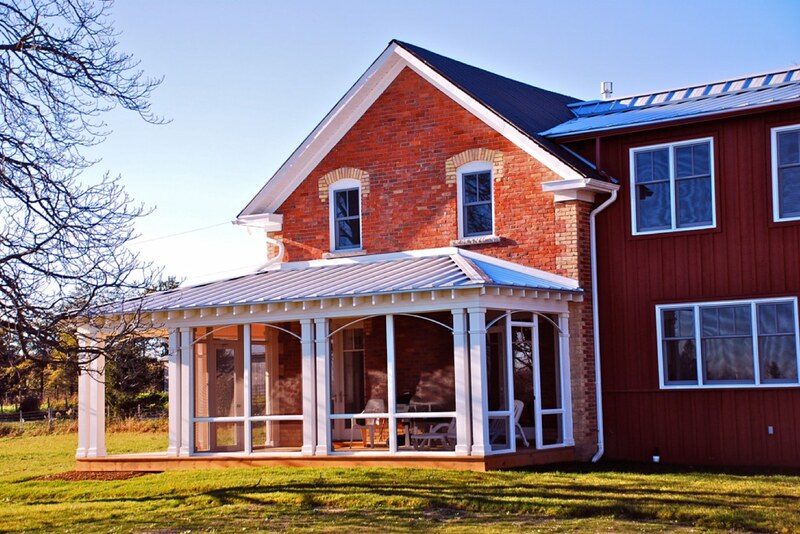 We built a new wrap around porch (wrapping three sides of the original house) and constructed a screened in porch with reclaimed hemlock floors off the dining room. We also added a sunroom. 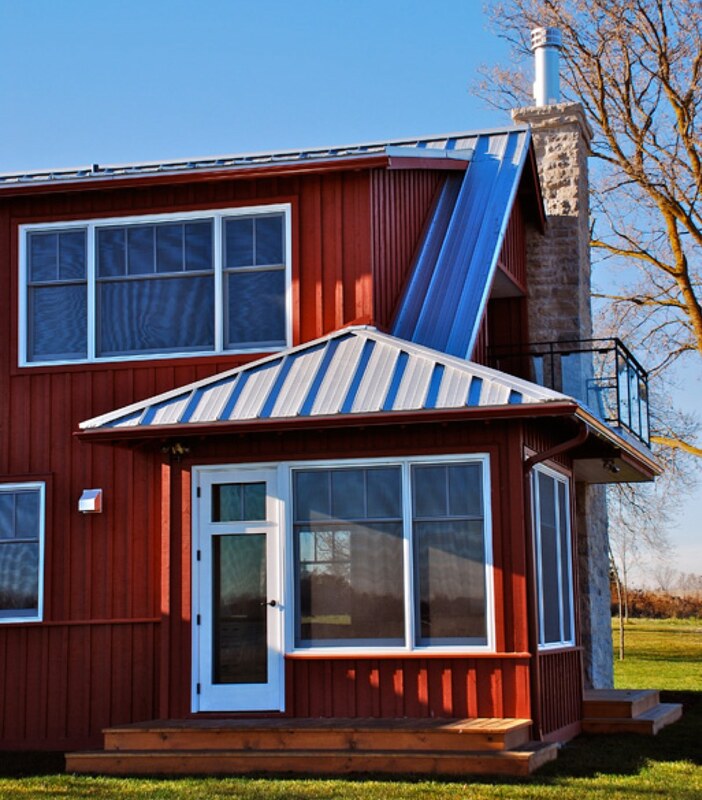 As a key feature to this build, we designed a galvanized aluminum roof which is meant to last for life and added an interesting architectural detail; when sunlight hits the metal roof, it glimmers. © Caledon Build 2019. All rights reserved. Site by 52 Pick-up Inc.